A successful business may start with a remarkable idea, but it’s sustained by hard work and a healthy dose of creativity. Effective entrepreneurs have the necessary knowledge, but they must also be adaptable and imaginative. The best have a balanced mix of several skills. Entrepreneurship takes ingenuity, perseverance, and most importantly, a little creativity. Creativity is what gives you the tools to adapt to changing situations and come up with solutions to problems. It also gives you the inspiration to discover the new ideas that will fuel your business’ success. Luckily, creativity isn’t just innate; it can be learned. Everyone has a creative side – the trick is learning how to grow and channel it. 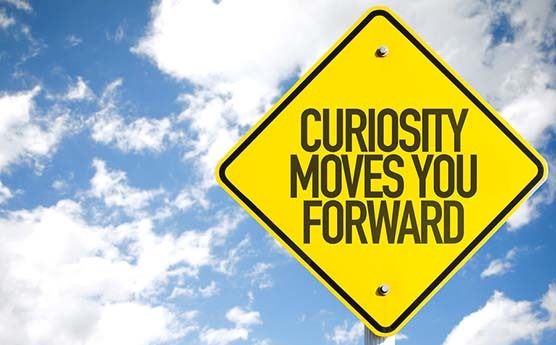 Insatiable curiosity is one of the main features of a creative mind. Maybe you’re always researching new ideas online, or maybe you love reading news and learning facts. Curiosity is how you take a concept that already exists and mold it into a new idea. It allows you to take what you know about something and expand upon it to create something original. And that’s important to becoming a successful entrepreneur. The most effective businesses are unique or those that approach something known in a fresh way – and curiosity is the path that leads you there. So go ahead, embrace a curiosity and infuse your mind with new knowledge every day. Confidence is another important aspect to channeling your creativity and becoming a successful entrepreneur. It’s what fuels your creative ideas and motivates you to follow through on them. It’s easy to come up with a creative idea and immediately cast it off as a dud, but confidence will give you the power to bring that idea to fruition. You need to be confident in your ability to solve a particular problem. With immense confidence, you can face difficult challenges head-on and come out on top. Conventional wisdom has its place: we follow it because we know it works. But sometimes, taking the less common path breeds unique solutions and new ideas. Looking at things from an unconventional perspective will open up a new realm of possibilities. By thinking about things differently, you’re expanding your mind and welcoming creativity. So next time you’re faced with a problem, don’t be afraid to take the road less (or never) traveled. You may just find something truly special and unique. Resourcefulness is one of the best qualities of a creative mind. In fact, creativity and resourcefulness tend to go hand in hand. In the early stages of a start-up business, it’ll allow your company to blossom without outgrowing your budget. As your business grows and changes, it will keep you grounded in reality and work as a focusing point. Whether you’re starting a company out of your garage or can’t secure a loan for start-up costs, being resourceful will help you find other ways to get your operations off the ground and running. Think creatively and research alternative solutions, and you may find the answer. Visualization is a stone in the foundation to creativity and successful entrepreneurship. The ability to visualize other outcomes and pathways opens your mind creatively and helps instill confidence in your choices. Some of the most creative professions rely on the power of visualization. For example, game designers and writers must be able to visualize an entire world, complete with characters, scenery, and situations. As an entrepreneur, this ability will help you imagine new ideas and how they can be realized. How will your new product or service affect people? What does the packaging look like? Who’s your ideal customer? These are the questions visualization will answer. Once you have those answers, you’ll have a more thorough understanding of your business and customers. Creativity doesn’t just come from within; it needs to be nurtured in order to bloom. Once you’ve tapped into your creative side, there are some exercises you can do to strengthen and grow it. These will help you develop the previously mentioned concepts. Think about a recent, familiar situation, and try to visualize alternative outcomes. Or start with a common occurrence and try to come up with a different way of looking at it. For example, when you go to a movie theater, you expect to see a particular movie and buy snacks and drinks in the lobby. But what if the movie you saw was a surprise? Or what if you brought your own food and drink, or had waitress service while watching the movie? Thinking of alternative “realities” will strengthen your power of visualization, which will help you to come up with unique ideas. Thinking unconventionally is one of the driving factors of a creative mind. It fuels originality and allows you to become more adaptable. To learn how to think unconventionally, you have to be okay with breaking the rules sometimes. This doesn’t mean to go out there and start running red lights, but rather breaking down harmless conventional norms. Perhaps you’ll take the unknown back roads to work one day instead of the highway or offer to help the cart wrangler at the grocery store gather wayward buggies. Doing little out of the ordinary things unexpectedly will free your creativity. Even just thinking about different ways to break the rules will begin to open your mind. Your brain will be forced to think outside the box, and you’ll gain the confidence you need to pursue new creative endeavors. Children are naturally creative. You see it in school projects, imaginary games, and the strange things kids say. Thus, one of the best ways to exercise your creativity is to revisit your childhood. What did you love when you were a kid? What made you happiest? Did you love to build forts or climb trees? Did you love creating stories with your dolls or making clothes for them? Make a list of the things you did as a kid, and look for ways to tie them into your present business. You may come up with a new product or service you enjoy. Even if you don’t come up with any new ideas, you’ll still be embracing your creative mind by remembering your childhood and the things you loved to do. Flex your creative muscles by coming up with alternative solutions to problems. Make a list of problems you’re facing and practice brainstorming alternative solutions and resources. Perhaps you’re having trouble securing a loan for start-up costs. Make a list of alternatives: crowd funding, selling something you own, finding grants, or offering sample products for a donation. Research every possible avenue as much as possible. You’ll learn something new, and you may find the perfect answer to your problem. By learning how to be resourceful, you’re training your brain to think creatively while laying the foundation to a successful business. A creativity board will help you tie all your creative skills together. Start with a small idea for your business and a piece of poster board. 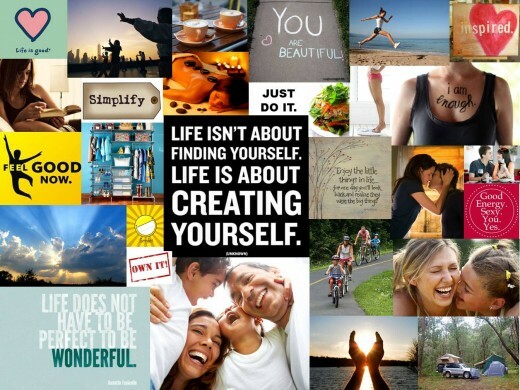 Make a collage featuring anything that inspires your idea: images, articles, quotes, data – whatever speaks to you. Maybe it’s a picture in a magazine with a fantastic color palette, or maybe it’s a statistical analysis of your product’s market. If it relates to your idea and is helpful, stick it on the board. This exercise is excellent for inspiring creativity because it channels the power of association and helps to organize the ideas floating around in your mind. It also helps to create a concrete example of the vision you have for your business. Lastly, it instills confidence in your business idea and gives you a foundation for a plan. Thanks for the article, Stephen! I’m a new creative entrepreneur and so these topics are heavy on my mind right now. I really appreciated the note about breaking rules. I’ve found this to be so true in my career path, personal and professional life, sometimes that is even where the inspiration comes from! My creative coach is very passionate about that. His program – The Maestro Conservatory – has really helped me turn my passions and whims into a real business. It’s exciting. Thanks again for the article! It was a great reminder of things to focus on as I set up my new business. Welcome Lauren, hope you enjoyed it!